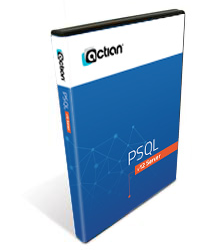 Note: The End of General Availability for PSQL v12 Server was June 30, 2018. We have only a limited number of base or upgrade licenses in stock, so please buy Zen v13 Server if possible, as this will also save you some money. The Actian PSQL v12 Server Engine is designed to host larger, multi-user systems storing data in the Microkernel format, also known as Btrieve. It is expandable to grow as your business grows. If you have fewer than 5 concurrent users and do not need this growth capability, check out the Workgroup Engine instead. PSQL v12 Server Engine licenses will work on any platform or bit level (Windows 32-bit, Windows 64-bit, Linux 64-bit, or OSX 64-bit), and you can switch platforms and bit levels at any time. This engine is licensed by using one "base" license per server, indicating the number of concurrent users that will be accessing that server. Standard license counts are 6, 10, 20, 50, 100, 250, and 500. You can add more users to an existing server with a User Count Increase license (available in the same sizes). Each engine license can be installed to ONE server at a time. All workstations in the network get the free PSQL Client installed and need not be licensed. This Upgrade SKU's are valid for users who own a current PSQL database engine that you will be retiring. Please select the original PSQL version you are upgrading from in the line items below. (PSQL V8 or older all counts as "Legacy" versions, including Btrieve 6.15 Server.) You will need to provide the 9-digit Serial Number of the engine or the license key as proof of ownership. Actian may also accept a copy of a previous purchase invoice in lieu of these two items, but any such copies must be submitted with your confirmation before we can process your order. Although you cannot upgrade UCI licenses, you are eligible to upgrade to the SAME USER COUNT, or to the NEXT USER COUNT HIGHER, as your existing engine. So, a 50-User engine can be upgraded to a 100-User PSQLv12. Not sure which license you need? Try our new PSQL v12 Product Selector now! As there is no 35-User PSQLv11, you can upgrade to this from an existing 20U license.